When assigning the price for a hotel room, apartment or villa, some factors such as the quality, the season and the profits must be kept in mind. But these factors don't take into consideration the experience nor the psychology of the user, which are essential to get direct bookings. These are the pricing strategies that will help you convince the user to reserve on your website. Surely, the user that is wandering around your hotel website has visited your accommodation on Booking.com before, and now is checking your site to compare prices. To make sure you get a direct booking, we recommend having your rates 5% more economical on your website and identifying the discount as a direct clients only. If the user sees a better price, they'll book on your site. But don't set the price too low, if there's too much difference between your site and the other OTAs the user might not trust you. The ideal discount is among the 3% and 7%. Keep the same price on all of the OTAs and channels, except on your website, where you will offer the best price and conditions. Avoid the rounded prices because they seem higher, for example, 99€/night sounds better than 100€/night. Even though the difference is minimum, the client will prefer the first amount. Another psychological strategy to boost the reservation is the use of accelerators. These messages appear during the process of selecting a room. 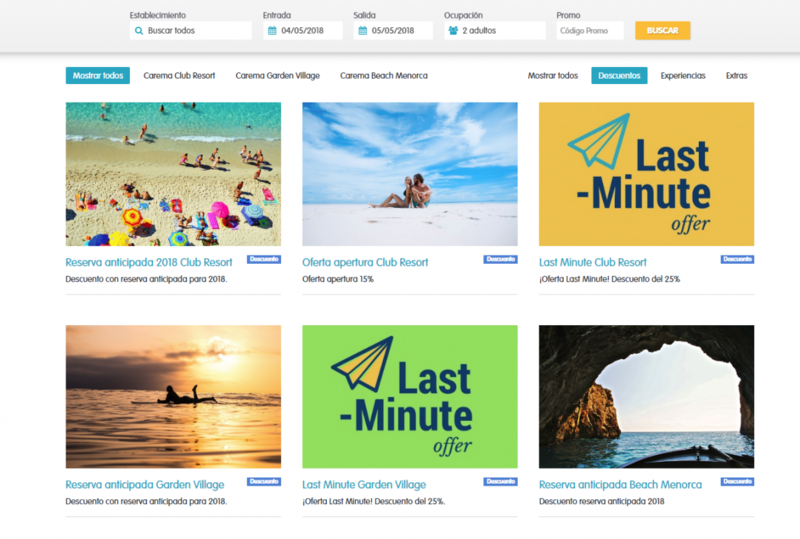 Our booking engine has two types, positive reinforcement accelerators that persuade the user to reserve in that same moment, and the urgency accelerators, that create a sense of pressure and stress. Accommodations usually have different types of clients that are interested in specific offers. Use multiple discounts to succeed with all of them. We recommend using at least two offers every season to cover the weaker months or to justify the minimum stay during the touristic months. Early booking: they are useful for organised clients that book in advance. Stay always ahead and organise your prices and availability for the next season beforehand. Returning customer: you'll get your regular guests to come back and avoid their stay in other hotels. Long-stay: to persuade the guests to stay more days at the hotel. It's useful because the price per day is economical and a lot of people use it to prolong their stay. Last-minute: helpful to fill up the rooms that are still empty during peak season with the people that organise their holidays in the last minute. End of season: to attract the people that haven't been able to travel during peak season. The extras add value to the booking when increasing their worth with options that aren't available on Booking.com. One strategy consists of presenting a free extra next to the ones that must be paid, like a welcome gift for direct clients. When the user sees a free extra, they'll probably spend on another extra such as a massage, a dinner... The extras' fee should never be higher than the price per night at the hotel. Our booking engine of CloudHotelier allows the creation of every extra to implement strategies like this one. Some of our clients offer experience packs where the user books an activity. Clients are more willing to spend on an activity with accommodation included than a simple room, and it adds a value that the other OTAs don't have. When assigning the prices to your accommodation website, keep in mind that the right strategy will help you boost your direct reservations and that a good booking engine is essential for a hotel website to work correctly.